Send A Message To Mitu. Our psychotherapy sessions are holistic and address healing at the level of mind, body and spirit. · - spiritual issues and more. In our sessions we combine the best of modern psychology with the wisdom of eastern healing approaches. The focus is on deeper healing and transformation. Our psychotherapy sessions will be held in an environment of non-judgment, compassionate listening, safety and confidentiality. I take into consideration your personality traits, characteristics, strengths and interests, to find the approach that fits best for you. I address a wide range of issues in the practice and work with clients of diverse backgrounds in age, sexual orientation, ethnicity, culture, and religions and spiritual traditions. Learn tools to reduce stress and overthinking, and feel more grounded and balanced. Heal emotions wounds, transform limiting beliefs and master life challenges at Mitu MindBody Psychotherapy. Mitu Psychotherapy serves the Greater Toronto Area: Markham, Scarborough, Pickering, Richmondhill & North York. 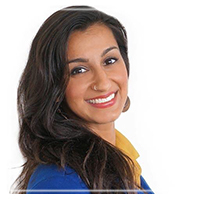 Mitu Singh has her Masters Degree and Doctoral Candidate in Counselling Psychology from the University of Toronto. She is a Registered Psychotherapist in private practice and works with youth and adults. Her previous experiences include serving as a counsellors in university and educational settings, community mental health centres and in private practice. Mitu also facilitates regular classes and workshops on topics related to health and wellness, women’s empowerment, yoga, meditation, therapeutic dance and creative expression for healing.